Floyd and Evelyn McKissick’s legal action resulted in all four of their children attending white schools. In 1960, oldest daughter Joycelyn was the first African-American female to graduate from Durham High School. 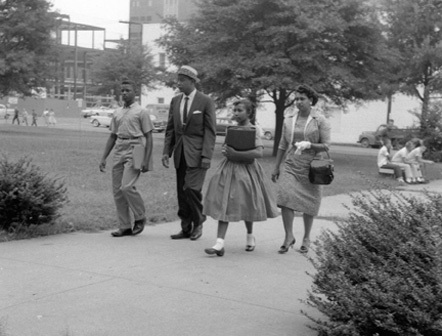 In 1963, Charmaine and her brother Floyd Jr. were admitted to North Durham Elementary School, among the first wave admitted at the elementary level. Even after these first students passed the threshold of previously white-only schools, complete desegregation did not occur until the courts ordered it in 1970.